I was just browsing Tumblr & searching for some nice pictures to re-blog when I came across this image. Now after my new-found love for printed leggings, thanks to my Sunflower Leggings by American Apparel, I instantly fell for these. 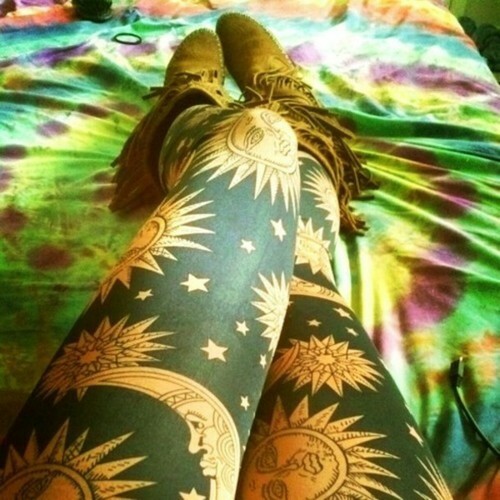 I was in the market for some new crazy leggings & I just had to get myself a pair of these. Thankfully eBay came to the rescue & I managed to find the exact leggings for a bargain price! 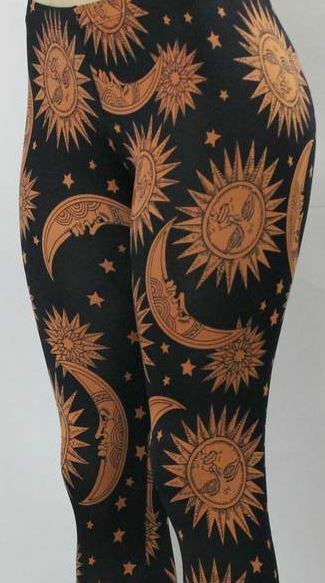 I just adore the Sun, Moon & Stars print & I can’t wait to wear them! Haha. I like this one 😀 really interesting!!! Thank you 🙂 I love the unique print! !